What's In A Pet's Name? We love hearing all sorts of stories about your pets. 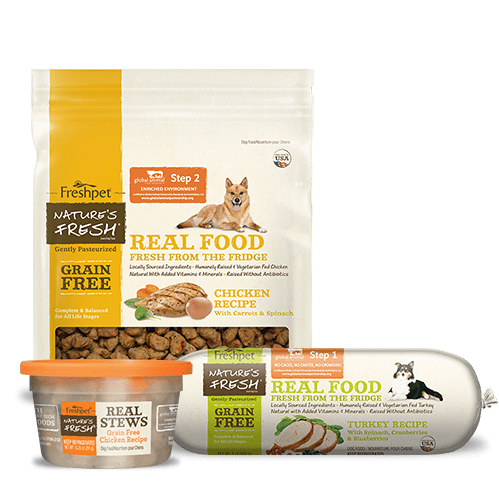 Every time you share pictures of their birthdays, reviews about their favorite recipes, or just general updates on how they're doing, it reminds us of the amazing group of Freshpet parents we have. But it's often not just the stories about your fur-kids that catch our eye; it's their names, too! So, over the last few months, we've asked Freshpet parents to share the story behind their fur-kid's name. All in all, we've been amazed by the incredible tales we've uncovered, and we think you will be, too! 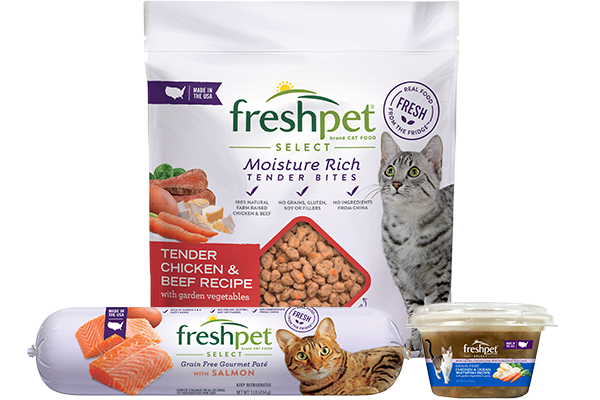 Below are a few of our favorites that we've heard from Freshpet parents recently. Enjoy! 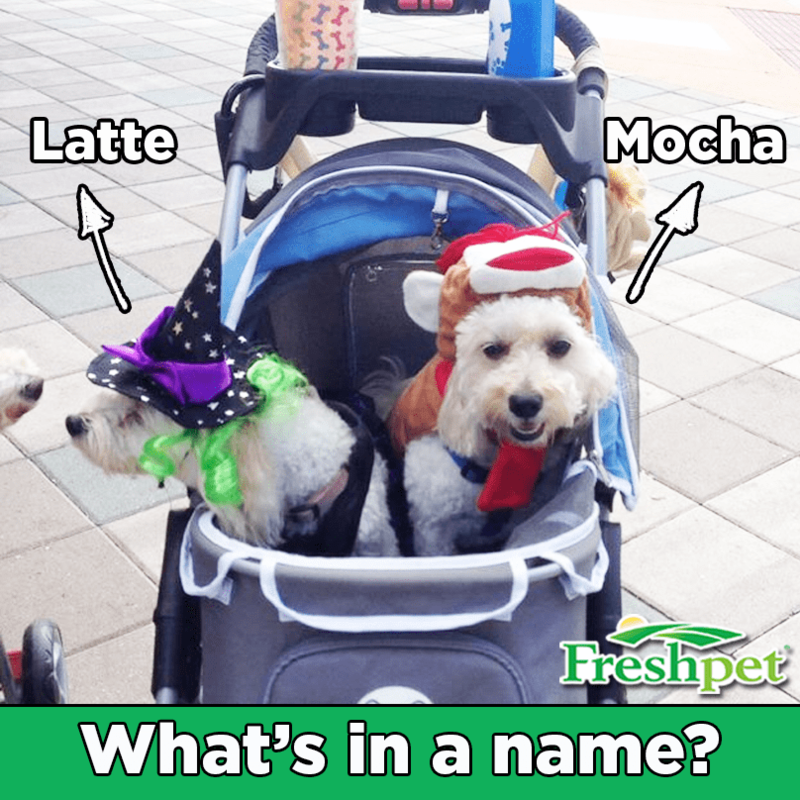 First up, we've got the dynamic duo of Freshpet pups Mocha and Latte! 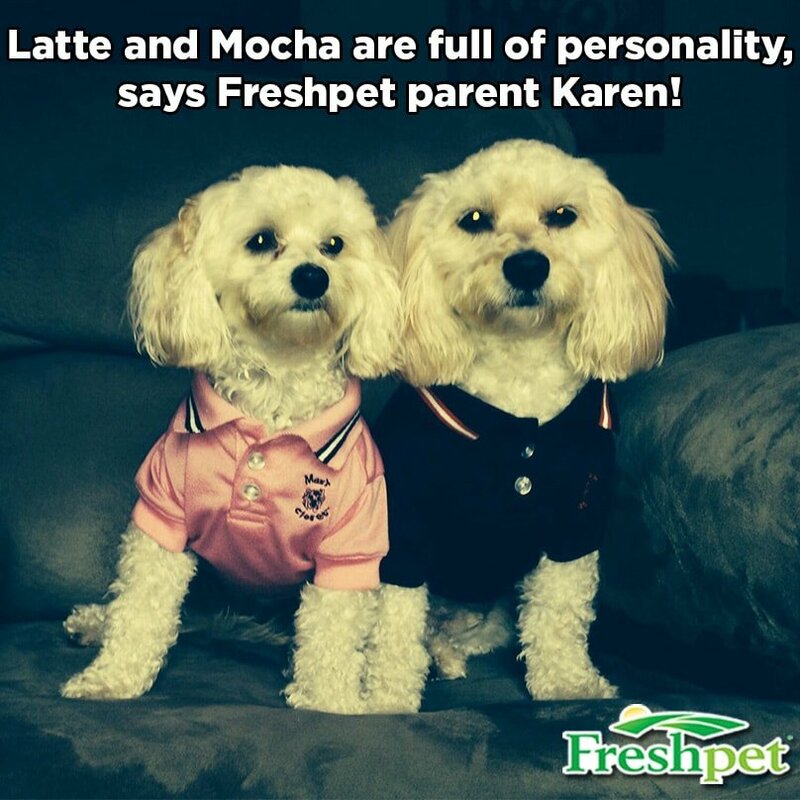 Freshpet parent Karen C. says that her two babies are ripe with personality. Mocha (right) is a Lhasa-Poo, while Latte is a Malti-Poo, and both of these cuties are about the same age. According to Karen, Mocha was named after his beautiful tan fur coat. She soon realized that she and her husband had to have a Latte to keep their Mocha company and, sure enough, three months later Latte was welcomed as the newest furry member of their home. With their children no longer living at home, Karen and her husband shower these two pooches with attention! 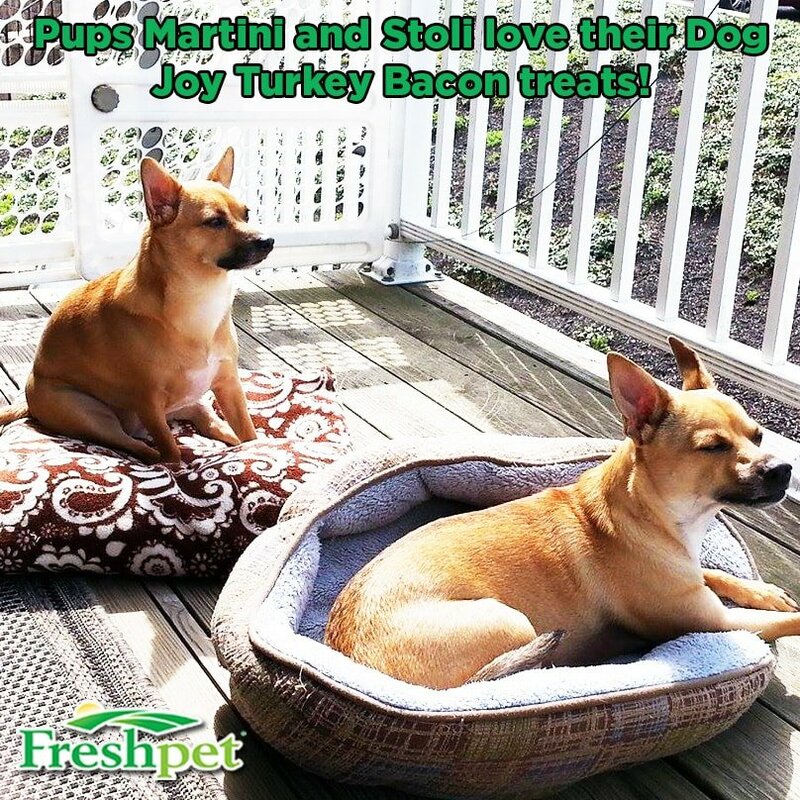 Karen says they love to spoil Mocha and Latte, especially with their favorite Freshpet Dog Joy Turkey Bacon treats. While Latte can be very vocal and demanding, she tends to get away with it in front of Dad. But Mocha is a total "Momma's Boy," says Karen, and a true lap dog. Freshpet parent Barbara says these two adorable Chihuahua mixes are inseparable, and fierce watchdogs despite their size. Stoli is turning five this February and is named after Barbara's favorite vodka, Stolichnaya. And Martini? You guessed it – named after Barbara's favorite cocktail: a Dirty Martini! Martini is just over two years old and is a rescue from Tennessee. While they never go unnoticed when someone knocks on the door, Barbara says they are sweet beyond belief, with oodles of love to give. 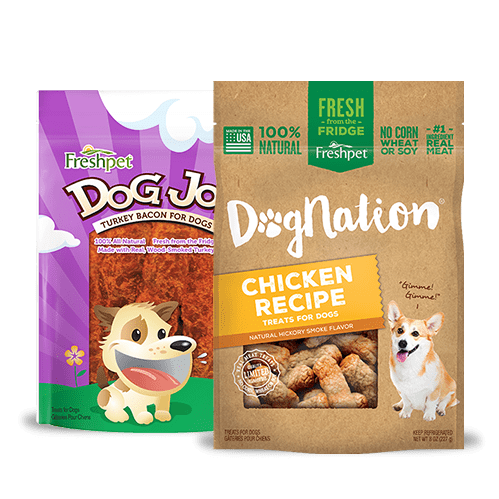 But as soon as she opens the fridge, both come running in hopes of their mom bringing out their favorite Freshpet Dog Joy Turkey Bacon treats. Barbara says, "They can be asleep, but if they hear the rustling of the Freshpet treats, they come running!" Next, we've got Freshpet parent Todd's furball: Bootsy! Bootsy was a rescue from an overly crowded house in Philadelphia and now lives comfortably with Todd and his fiancé, Kat. Bootsy got her name for a few different reasons, says Todd. While these Freshpet parents love funk music, especially that of Bootsy Collins, her name also comes from her funky play style, which often involves bouncing around the apartment. She may still be small in size, but Bootsy "runs the roost," says Todd, "we're simply allowed to cohabitate!" 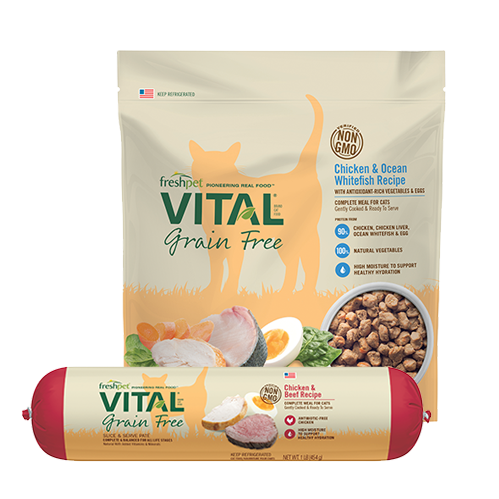 Before Kat and Todd rescued her, Bootsy struggled to get proper nutrition. Her overly-crowded home was filled with tons of kitties, most of whom were bigger and older than Bootsy. She struggled to get the food she needed come mealtime because there'd often wasn’t enough left. 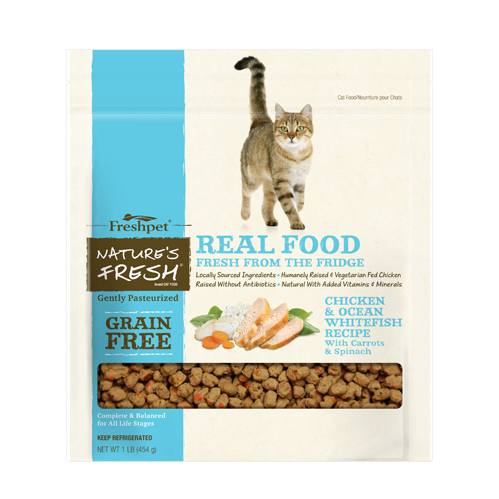 Now, Bootsy loves her favorite Freshpet Vital Complete Meals, especially the Chicken and Ocean Whitefish recipe. With plenty of energy and now back to her target weight, Todd and Kat couldn't be happier having their funky kitty around the apartment. 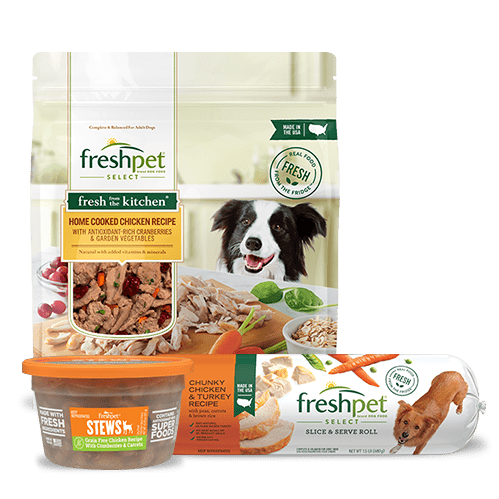 Freshpet parent Ashley R. recently tweeted @Freshpet to say just how much her Havanese/Maltese mix Michael Jackson loved trying his Freshpet Select Chicken, Vegetable and Rice Slice and Serve roll for the first time. We couldn’t help but inquire about his famous name. MJ, as Ashley calls him, sports black and white fur, reminding Ashley of one of her favorite Michael Jackson songs, "Black or White." As it turns out, MJ was born on the day that the pop legend passed away, so the name is a fitting tribute. Like his namesake, MJ fluffs his mohawk and "even knows the moonwalk!" We've got to see this one for ourselves, Ashley! Finally, this story of Holy Muttrimony put a smile on our faces. When we asked pet parents on Twitter to share the story behind their fur-kid's name, Freshpet parent Sarah responded back right away with an amazing story. Sarah's shih tzu / terrier mix is named Filly. Why? After she and her husband first met in Philadelphia, they had fond memories of the city and decided to name their new pup after the City of Brotherly Love. However, it's spelled incorrectly for a reason. Sarah says that growing up, both she and Scott had pups named Cocoa, but spelled with a twist: Koko and Coco. 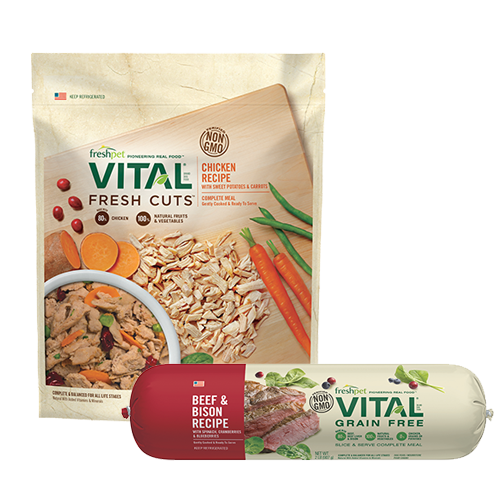 Now, pup Filly is a licking monster that is known to go crazy over his favorite Freshpet Meatball Mix-Ins! "On March 9th, 2012 my now husband, proposed to me. I walked through the front door of our apartment and I saw the most adorable little puppy. Little did I know what was in store. I just thought he got me a puppy early for our anniversary since we were planning to get one in the Summer anyways. I looked up at Scott and said “is this for me?” Of course he says “yes”. While getting tons and tons of doggy kisses, I look over and my boyfriend (now my fiance), he tells me to look at his tag. So I do, well actually I try, the little furball is still super excited and just wants to keep kissing my face. I can barely read the tag with the dog moving so much. As he gets down on knee, I see him pull out a gorgeous ring, out of the most perfect box, and says “Will you marry me?” My heart was beating so fast! Of course I said “Yes!” I love him soo much and his proposal was perfect! After putting on the gorgeous ring and giving him many kisses, he tells me to look at the dog’s collar (The dog has finally calmed down enough). Finally, I see it says “Will you marry us?” Isn’t that the sweetest thing ever! 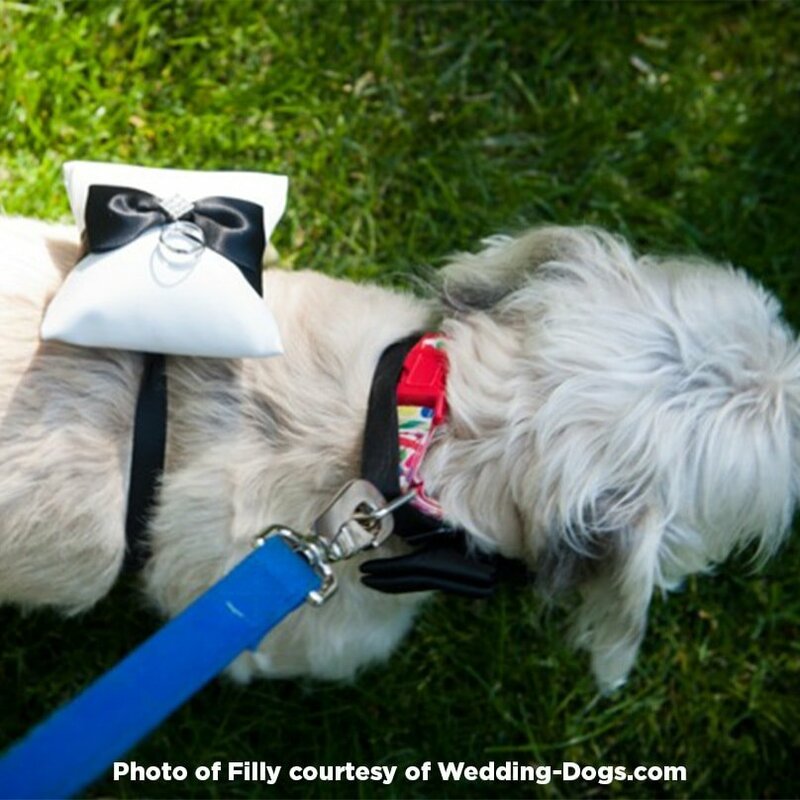 See more at: http://wedding-dogs.com/#sthash.5SHw7Tx0.dpuf"
Amazing Sarah – thanks so much for sharing! Do you have a great story behind your pup or kitty's name? We want to hear it! Tell us on our Facebook page!